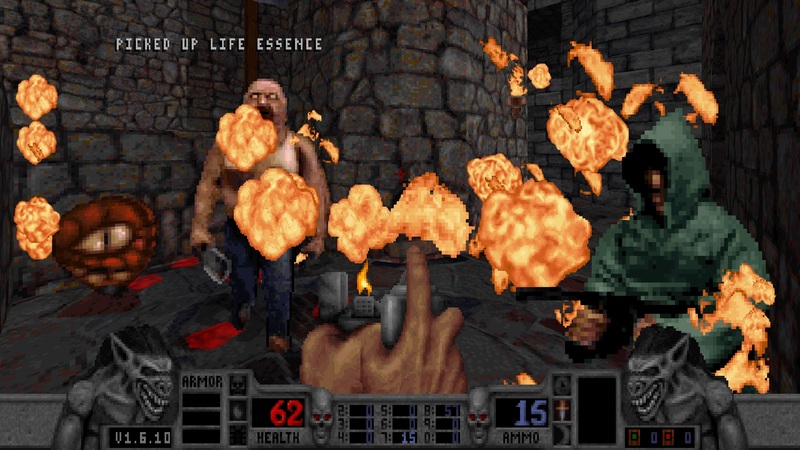 It's been a few months since we've heard anything about Nightdive Studios' Blood remaster. While we still don't know much else beyond that initial announcement, at least we now have a better idea of how it will look. Taking a cue from the likes of Duke Nukem Megaton Edition and Shadow Warrior Classic Redux, Blood Remastered Edition is more of a modern port than a full-on remake. I didn't expect much more, to be honest, so this is perfectly fine. The graphics are blocky and pixelated and it looks absolutely perfect, to me. I love that raw pixel look and often turn off smoothing filters when playing retro games on an HDTV. It just looks so much better to my eyes that I can't even go back to living with filters. More re-releases should include the option to turn those features off. We're still waiting on news of a release date, but I'd imagine Blood will be returning in the near future. For now, we'll just have to gawk at the '90s carnage in the gallery below.